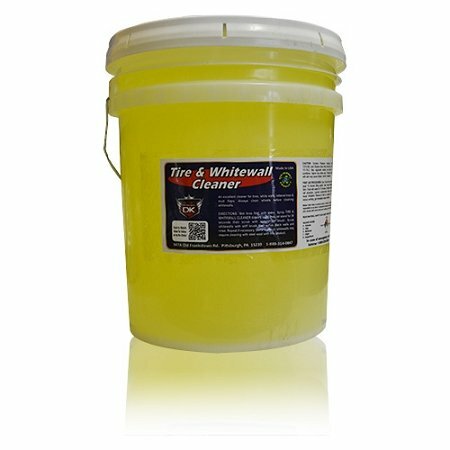 Tire & Whitewall Cleaner is a super concentrated, caustic, heavy-duty cleaning product that will aggressively and easily clean the dirtiest tires, white walls and raised white lettered tires. This product contains a darkening agent and actually darkens the rubber so when the tires are dressed they actually look like new and have a great shine to them! Most all purpose tire cleaners will leave a grayish look and the tires will not "dress-up" well. This product has a pleasant lemony scent, is environmentally friendly and 100% biodegradable.